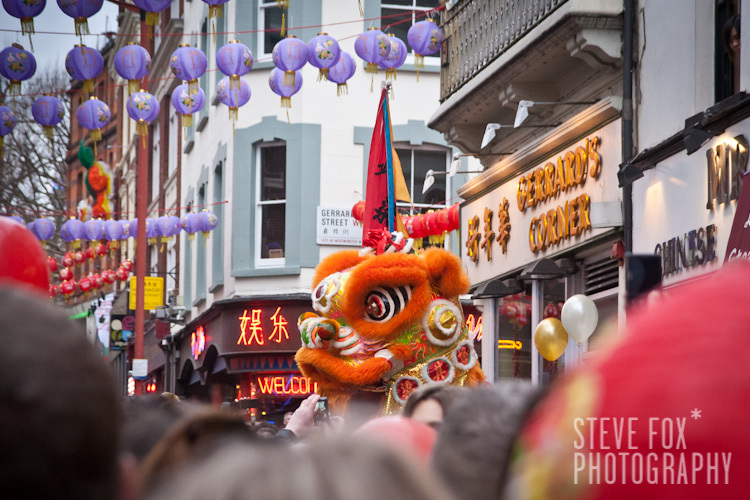 What started as a typically drab winters day in London, quickly turned into a feast for the senses as I approached Chinatown; colourful lanterns as far as the eye could see, a dragon dancing rhythmically to the beat of drums and jostling crowds eager to catch a glimpse of the action. The moment I left Leicester Square tube, it was clear I had underestimated the size of celebrations which took place in Trafalgar Square, Shaftesbury Avenue and pretty much everywhere in-between. Roads were closed to cars and instead filled with crowds carrying balloons and rabbit toys. 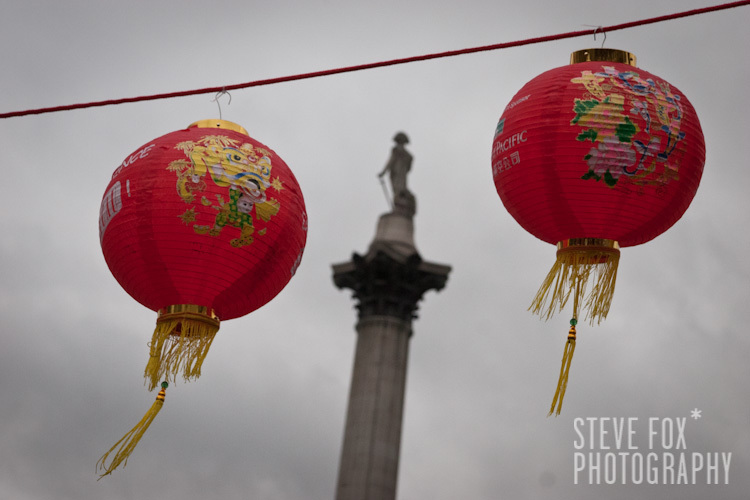 I left Trafalgar Square and headed back towards the traditional heart of Chinatown – in the distance I heard the beating of drums and quickened my pace. 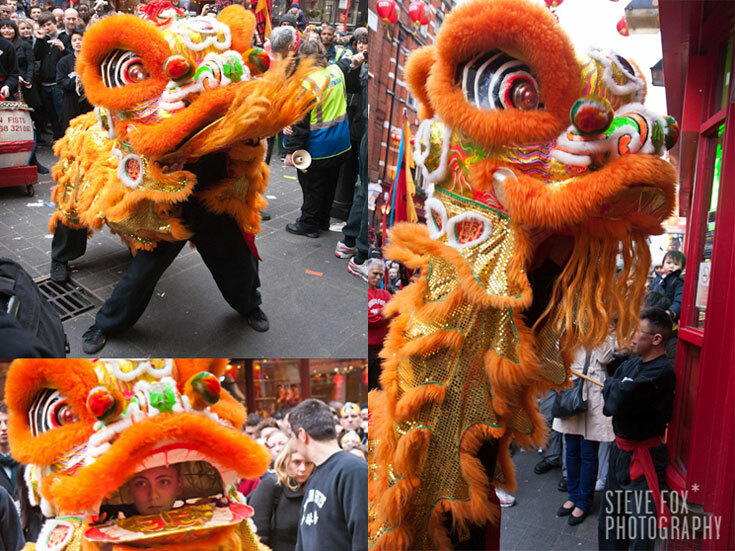 I had anticipated what would be the highlight of my day and surely everyone elses, the Lion dance. This is a traditional dance where the lion visits the houses and shops in the community one by one and in doing so, brings good luck. 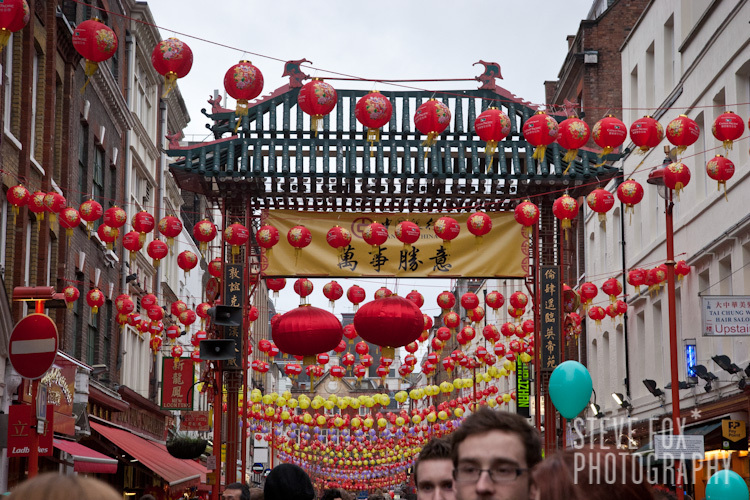 Well that was the end of my Chinese New Year Celebrations. 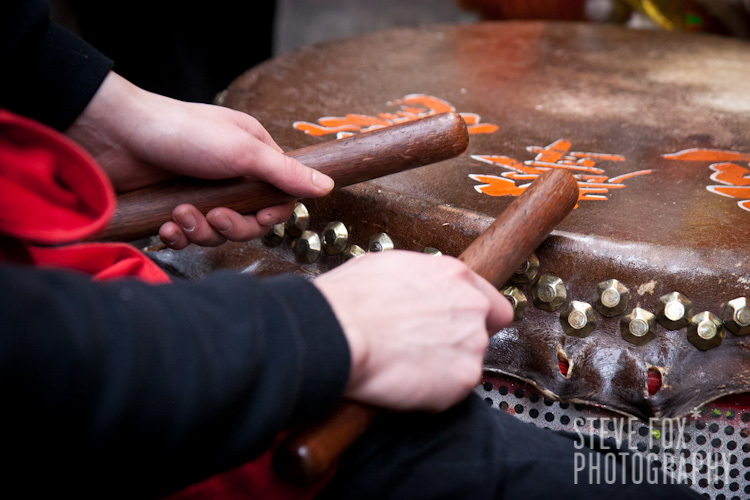 Hope you all have a happy, healthy and prosperous Year of the Rabbit, 2011.